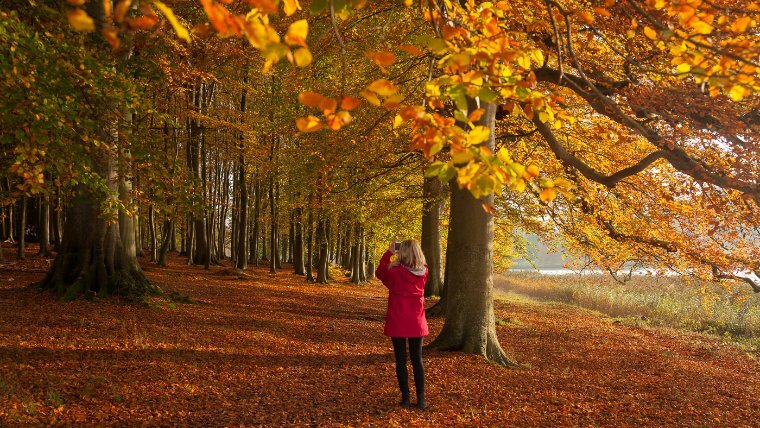 Here’s our round up of ideas to keep you and your offspring entertained this October half term. Hopefully we’ve found something to suit everyone, from carving a pumpkin to being a National Trust ranger. Follow the twisting path through Tehidy Woods (wear wellies and take a torch) into the Land of the Dead, where you can get cosy on the hay bales (bring cushions and blankets) and settle down to watch the show. Refreshments available, including woodland stew from a bubbling cauldron. Three shows each day from 25 to 31 October inclusive: The first at 2pm (Day Dance), the second at 5pm (Dusk Dance) and, for the really brave, the Dark Dance at 8pm. The show lasts approximately two hours and tickets are priced at £8.50/£7.50/free for under 3’s. Book tickets online or phone 01726 879500. 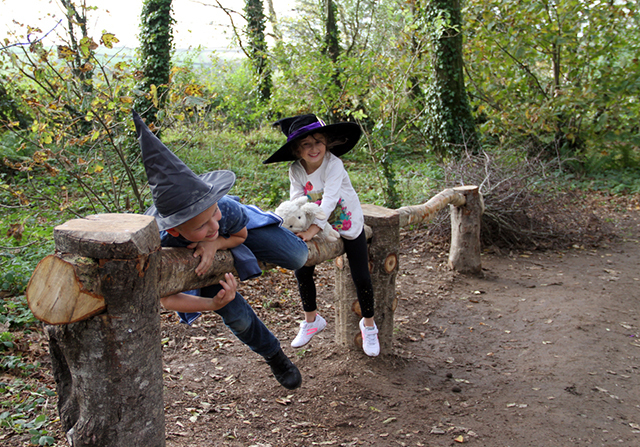 From 22 to 30 October visitors to Heligan can take part in the Spooky Halloween trail down the Woodland Walk and West Lawn. There will be enchanted tales by the fire in the yurt on the East Lawn daily at 11.30am, 1.30pm and 3pm, and craft activities in the Hubble Bubble Tent in the Steward’s Garden – make a willow wand, create a herbal dream pillow, or make a shadow puppet. 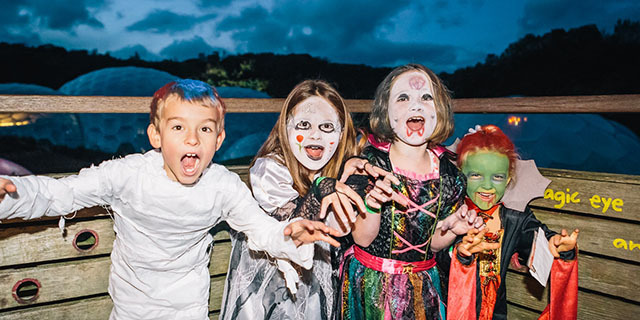 As usual, The Eden Project turns into Halloweden at half term, with activities galore on site between 22 and 30 October. This year there will be a circus theme, with pop-up performances, ghostly sideshows and storytelling. The annual Little Monsters’ Ball will be held on the evening of Saturday 29 October, which includes a disco in the Olive Grooveyard, a Wishcraft Tent, face painting, and owls from the Screech Owl Sanctuary. On the menu you’ll find things like monster ribs, gory guts sausage, roasted bat wings, day of the dead vegetable enchilada, creepy coleslaw, eyeball pizza, and a selection of spooky cakes. 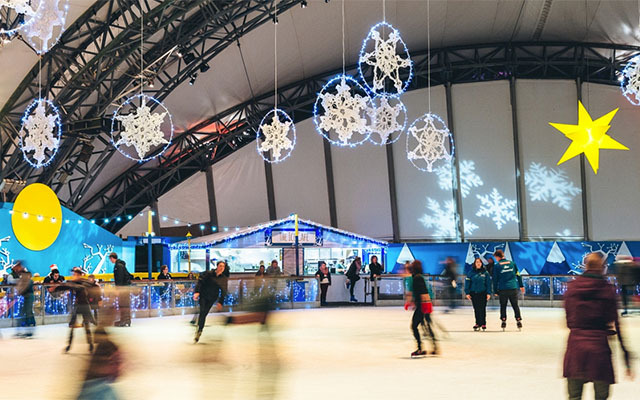 For a refreshingly un-Halloween themed activity, visit the fantastic ice rink, open from 15 October until 19 February. General skating sessions are priced at £7 for adults, £6 for children, and £24 for a family of four. Sessions are 40 minutes long and begin on the hour. Penguin skating aids are available for small children and are priced at £4. To book visit the www.edenproject.com. 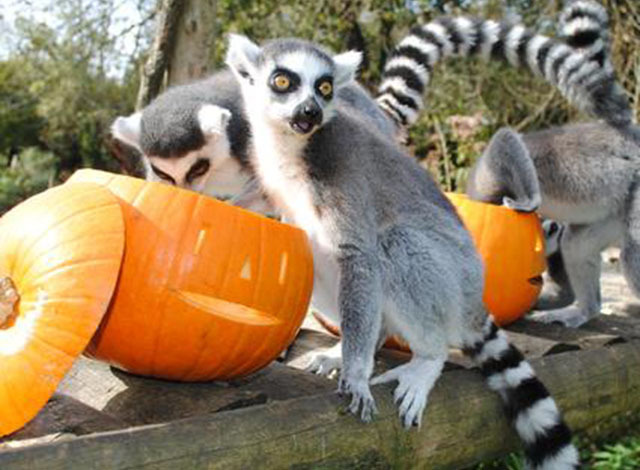 Between 22 and 31 October Newquay Zoo’s Zoo Boo will include a “ghoulish ghost hunt”, facepainting, make and take art, spooky storytime and creepy crawly encounters. Suitable for all ages, normal admission charges apply. For full details visit their website. The National Trust have come up trumps with a huge range of activities on their properties across the county. The following are just a small selection which caught my eye; visit their website for a full list. Become a ghost detective at Trerice, with eerie silent house tours daily from 3pm. Experience a day of fun, hands-on science-based activities to find out more about steam-powered pumping and winding engines at East Pool Mine. Become a ranger for the day, helping cut back scrub near Polzeath, and then enjoying jacket potatoes and marshmallows on the bonfire. Pumpkin carving at Trelissick and Trengwainton. Dare you take the torchlight terror trail at Tintagel Old Post Office? Celebrate the apple season at Penrose’s Apple Festival: make your own juice and take part in apple bobbing and the longest peel competition. Storytelling and treasure hunt at St Michael’s Mount. St Ives’ Barnoon Workshop is holding a range of lovely sounding art and craft activities during the half term holiday. To book any of the courses phone 01726 879500 or buy online. Monday 24 October, drawing class, 10am to 12pm / watercolour class 2 to 4pm, £10 each. 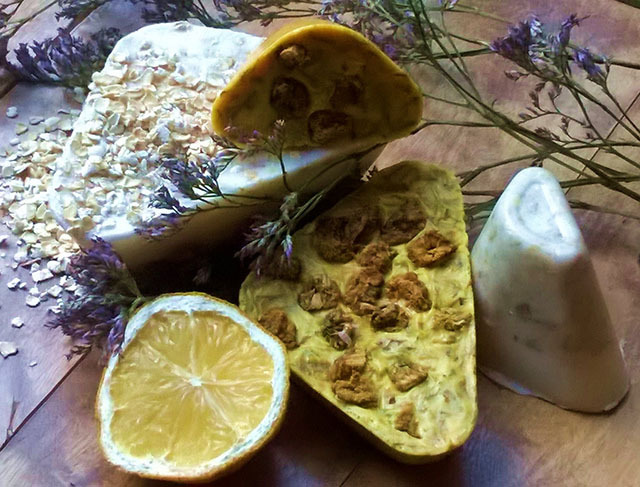 Tuesday 25 October, candle making in sand casts, 10am to 12pm, £15 (£10 for children) / natural soap making, 2 to 4pm, £20 (£10 for children). Wednesday 26 October, drawing with wire, 10am to 12pm, £15 (£10 for children) / paper cutting art, 2 to 4pm, £10. Thursday 27 October, beach find mosaics, 10am to 12.30pm, £20 (£10 for children) / street art stencil making, 2 to 5pm, £15 (£10 for children). Saturday 29 October, pumpkin carving and Halloween crafts, drop in between 11am and 4pm, £6, no booking required. North Cornwall Book Festival is a three day literary festival from 21 to 23 October. You can find a full programme on their website. Strangely most children’s events are held on Friday 21 October (still term time for most schools) but there are a few story telling and craft sessions on the Saturday and Sunday. The multi sports activity days at Truro School’s Sir Ben Ainslie Sports Centre are guaranteed to exhaust even the most energetic of children. Run by Go-Active, the activity days are open to 6 to 14 year olds, and you can book anything from one to five days from 24 to 28 October inclusive. Activities include bubble football, trampolining, fencing, street surfing, badminton and swimming. The cost is a very reasonable £25 per child per day (8.30am to 5.30pm), which includes a hot lunch. A swim camp will also run from Monday to Thursday mornings (8.30am to 12.30pm) for 7 to 14 year olds, priced at £25 per day, or £80 for all four sessions. Children can attend the multi sports activity afternoons for an extra £10. For more information or to book a place please visit their website or contact the sports centre on 01872 246050. Crazy Cartoon Fun, 9am to 12pm, Monday 24 October, ages 8+, £18. Manga Workshop, 9am to 12pm and 3 to 6pm, Tuesday 25 October, ages 8+, £16. Printmaking Workshop, 9.30 to 11.30am, Wednesday 26 October, ages 6+, £10. The Big Draw Space Holiday, 9.30 to 11.15am, Friday 28 October, ages 7+, £9. Autumnal Animal Collages, 3.30 to 5pm, Friday 28 October, ages 5+, £8.50. Little Box of Horrors, 9.30 to 11am, Saturday 29 October, ages 5+, £8.50. Wrap up warm and hit the South West Coast Path. Make and Create Activities at the Telegraph Museum in Porthcurno. Climb the walls at Clip ‘n’ Climb at Indoor Active, at Cornwall Services, just off the A3o at Victoria. Pretend you’re a Total Wipeout contestant at Retallack’s Aqua Park. Visit the Cornish Birds of Prey Centre at Winnard’s Perch. All the rides at Flambards will be open during half term. Go for a swim at your local leisure centre. Please add your events by commenting below.